The Midlander has replaced Dan Kneen, who was injured in Saturday's Ulster Grand Prix Supersport Race, in the Team Ripley Land Racing outfit. He'll ride the G50 Matchless in the Bennetts 500cc Race on Saturday 23rd August. 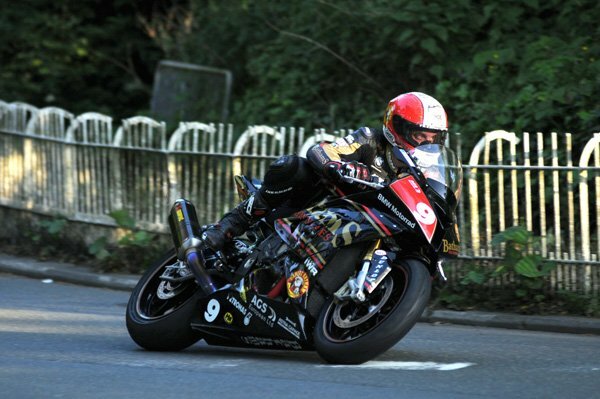 Rutter is expected to arrive on the Island in time for this evening's qualifying session. Experienced campaigner Ian Lougher, a ten time TT Race winner, will campaign the team's 350cc Drixon Honda in Monday's Okells 350cc race. Lougher is no stranger to 350's and took part in what is recognised as one of the iconic Mountain Course races - the 1983 Manx Grand Prix newcomers race - which was won by Robert Dunlop from Steve Hislop with Lougher in third. The 350 machine is the same one that Chris Palmer won last year's corresponding race on and Lougher is sure to be among the pre-race favourites. Shropshire rider Ben Wylie will take Kneen's ride in the Motorsport Merchandise F1 Race on Monday 25th August, riding the RLR GSXR 750cc. Wylie, who made his TT Mountain Course debut in 2009, has three top ten finishes in the TT including a highest placed 7th in the 2011 Supersport 2 Race. He has a fastest Mountain Course lap of 124.982mph.